Staff at a venue in Telford have saved the life of a man who collapsed and stopped breathing during a wedding party. The duty manager couldn’t find a pulse so the DJ called 999. The man, an elderly relative of the bride, began struggling to move his legs unaided as the party at Casey’s Cordingley Hall, in Donnington, came to a close. He collapsed in the arms of a family member and a member of staff. “We had spent the day celebrating the wedding of a local couple, the evening was going well, they were partying, drinking and basking in the romantic vibes,” duty manager Lisa Stevens said. “But at the end of the night when I was ushering the last remaining customers out to their taxis, the man collapsed. Whilst Lisa positioned the man into the recovery position Casey’s resident DJ Layton Chantry called the emergency services. The paramedic on the line told Lisa to start CPR immediately. The gentleman was in a stable condition when an emergency response vehicle arrived and he was taken to the Princess Royal Hospital for tests. 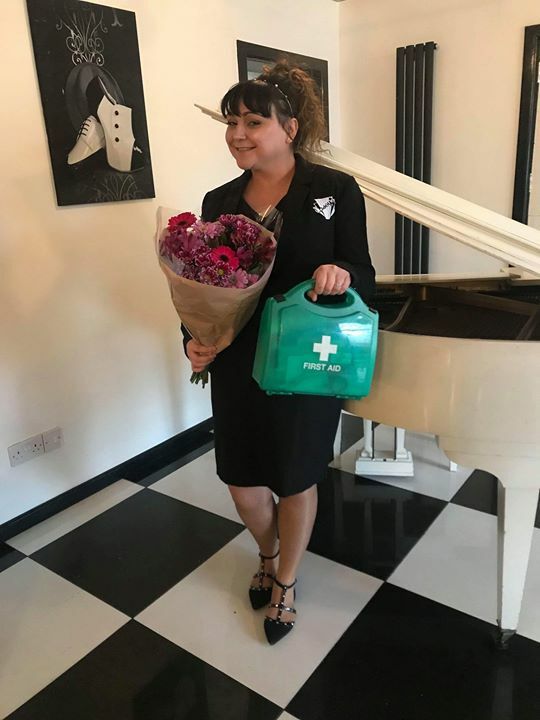 Nicola Casey, Managing Director and founder of Casey’s Venues Ltd, said: “Lisa showed a great deal of courage and in that very intense situation stayed very strong and calm. “She said the whole team helped her to get through it with support and also gave reassurance to the family members that were present. Layton Chantry, Matthew Pitchford, Luke Cartwright, Daniel Pitchford and Paul Hodgkinson were also on duty with the incident happened on Friday (March 23). 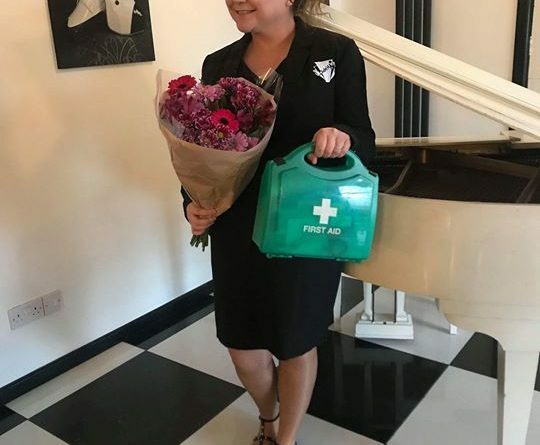 Nicola bought Lisa a bunch of flowers to show her how proud she was of her for her life saving actions on the night. Matthew Pitchford Well done mate!